Follow Michelle Cannon's board Homeschool Composer and Music Studies on Pinterest. Follow Michelle Cannon's board Homeschool Art Appreciation on Pinterest. Follow Michelle Cannon's board Homeschool Nature Study & Science on Pinterest. On this board you'll find nature study and science resources. Nature study is a favorite subject. If I could do nature studies all day, every day, I'd be the happiest homeschool mama on earth. Science, outside of nature study, is not one of my favorite subjects. That's why I need all the pinnable ideas I can find. 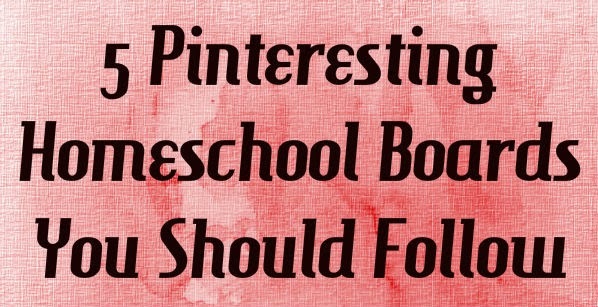 Follow Michelle Cannon's board Homeschool Language Arts on Pinterest. This board includes all things related to language arts. I often wonder if I should divide it up by individual subjects (writing, spelling, reading, etc), but I think that may be a bit much. I don't know. For now, it's all on this board. Follow Michelle Cannon's board Homeschooling Special Needs on Pinterest. Share a link to one of YOUR Pinterest boards in the comments so I can follow it. Visit Our Pintastic Pinboards where 35 iHomeschool Network bloggers having shared their favorite boards, too. Also linked to List it Tuesday at Many Little Blessings and Weird, Unsocialized Homeschoolers.